Tola, Rivas, Nicaragua (CNN) — Move over Costa Rica: Nicaragua is emerging as the new eco-travel darling of Central America. 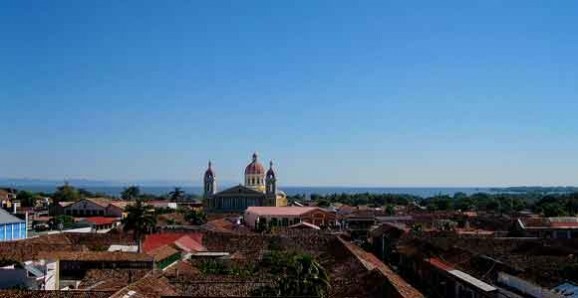 In the past two decades, Nicaragua has made concerted efforts to increase peace and international tourism; now, it’s one of Central America’s safer nations for travel, based on 2017’s Global Peace Index. The Emerald Coast, a 30-mile stretch of unspoiled Pacific coastline and dry tropical forest, is at the forefront of this “new” Nicaragua, breathing economic life into Central America’s poorest country. Travelers who have pushed past outdated perceptions have been rewarded with pristine beaches and forests, world-class surf breaks, local hospitality and sustainability conscious luxury resorts. The Emerald Coast is one of the only destinations in the world with 300-plus days of offshore winds, due to its fortunate position between Lake Nicaragua — Central America’s largest lake — and the Pacific shores. It was an insider secret amongst diehard surfing enthusiasts, drawn to humble fishing villages like Gigante and Popoyo Beach’s world-class waves. The Nicaraguan government will launch construction of the Costañera del Pacífico highway in the next few weeks to boost the country’s tourism sector, vice president and first lady Rosario Murillo told reporters. The 131km highway will stretch from the northern to the southern border of the country, helping connect main tourist areas located along Nicaragua’s Pacific coast, such as the beach resorts of San Juan del Sur, El Naranjo, Ostional, El Coco, La Flor, Marsella, Las Maderas, Majagual, Guacalito de la Isla, El Gigante, Tupilapa, Huehuete, Casares, La Boquita and Masachapa. 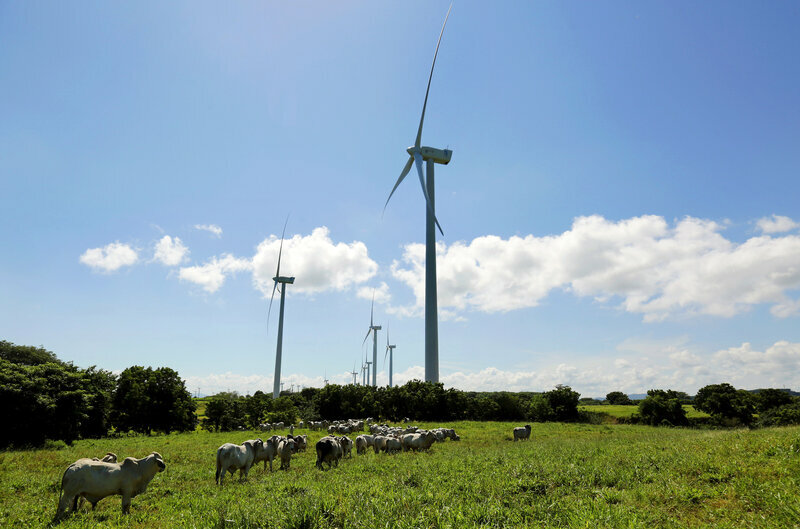 All the details regarding investments and providers, as well as the duration of the project, will be disclosed soon by President Daniel Ortega, local press reported. The project to build a highway along Nicaragua’s Pacific coast dates back to the administration of former president Enrique Bolaños in the early 2000s, according to local daily El Nuevo Diario. During its first term, the Ortega administration was planning to award a 20-year concession to build and operate the highway to an Italian consortium. At the time, the estimated investment for the project was US$200mn, according to the paper. Back in October, after congress approved a law to regulate public-private partnership contracts, the government presented a list of projects worth US$5.2bn that it said would be prioritized for investment, including the Costanera highway. The list is part of a 2017-2021 investment and development program, which the government presented to local and international investors, foreign governments, and financial institutions. The December 16th, 2016 newsletter can be downloaded here. The June 24th, 2016 newsletter can be downloaded here. Don’t Miss Your Chance to Own at Malibú! The Malibú Residences at Pacific Marlin has been immensely successful since the completion of the model home approximately 6 months ago. Its success is evident with only 3 of the 9 homes currently available. Each ocean view residence consist of 3 bedrooms, 3 bathrooms, an infinity edge pool, and 3 expansive decks which all boast panoramic views of the ocean and valleys. The on-site property management sits behind the 24/7 staffed gated entrance with meticulously landscaped grounds and paved roads throughout the project. Don’t miss this opportunity – Click here to get a video tour of the homes! If you’d like to learn more about the amenities and the different options at Malibú, click here for more detailed information. Our high tourist season is just around the corner and now is the perfect time to begin planning your trip to visit us! November through the end of March is when we experience the highest influx of clients & tourists coming to purchase property. If you are planning on investing here do not wait any longer, as prices steadily increase the best properties and deals are actively being purchased. As Nicaragua gets more press from Conde Nast, The New York Times, Forbes, and The Wall Street Journal more investors are becoming aware of the best kept secret in Central America. Do not miss out on your slice of paradise! Whether you are looking for a pure investment or your retirement dream home our team will provide you with unrivaled professional advising to ensure you find the appropriate property. Call US (415) 251-5757 or email us to schedule an appointment to speak with one of our knowledgeable Real Estate Consultants. Want to know about the current market along the coast? Schedule a call! Allow us inform you of the newest & best real estate options available! Ready to check out property? Great! Make an appointment today! Still the most popular offering in San Juan del Sur, Malibú has been a hit since breaking ground. These energy efficient ocean view homes start at US $399,900 and include an ocean view pool and roof top deck. There aren’t too many oceanfront homes as competitively priced as this oceanfront chalet! Jaw dropping coastal views and just a stroll to the sands at Redonda Bay! Priced to sell at US $440,000. This extensive home features an expansive pool deck overlooking the valley and mountains of San Juan del Sur, and of course the Bay of San Juan del Sur. A ‘must-see’ for a home shopper! Listed for US $495,000. Located just a few blocks from the center of it all is this 5 bedroom 4.5 bathroom 2 story home & storefront with endless possibilities. 50% Downpayment at a 7.5% interest rate for a 5 year term! Listed for US $249,000. The Asian inspired El Ceibo homes offer a spacious central living area, a tropical zen garden, bedrooms with ensuite bathrooms, high ceilings and large terrace area are just a few of the features. Starting at US $367,250. Condominios Villa Blanca is comprised of 3 equally sized residences, each boasting 5 bedrooms, 5.5 bathrooms, patio & deck area, an independent pool, and parking. Starting at US $515,000. Looking to List your Property for Sale? Bay, Coastal Views & Volcano Views! This property has jaw dropping, 100% unobstructed views. Here the breezes are refreshing, the views are amazing, and the property is a 2 minute drive from town and the beach! Listed at US $85,000. High in the ridges behind Majagual is lot #39 with tremendous views of the surf break at Playa Maderas, rolling hillsides that meet the Pacific Ocean and the Costa Rican coastline in the distance. Listed at US $125,000. A whopping acre in size with complete bay views from every inch of it: over Nacascolo Bay to the south, the Pacific Ocean to the west and Cala Azul’s bay to the north. Listed at US $200,000. This lot at Rancho Santana has extraordinary views from Gigante Beach, to Playa Iguana and all the way to Popoyo & beyond. So many surf breaks to choose from, and oh my…the amenities! Listed at US $279,000. Have a question about Nicaragua Real Estate? Nicaragua makes Lonely Planet’s #4 place to travel to in 2015, what are you waiting for? Read the article to see what all the fuss is about! In short, Nicaragua has the highest growth rate in Central America, highest employment registration in Latin America & the Caribbean. New Airport in November 2015! The developer of Nicaragua’s first luxury resort in association with the Nicaragua Tourism Board, announces the opening of Costa Esmeralda Airport, in Tola, Rivas! Thanks for taking the time to read our newsletter! Our teams of creative professionals at RE/MAX Coastal Properties continue to have the honor and privilege of assisting some of the nicest, most interesting, forward thinking and adventurous folks in the world achieve their tropical dream…..and we are here to make your dream a reality, too! Also, if you are planning a trip to Nicaragua in the near future, don't hesitate to contact Gabriela Castillo by clicking here to send her an email. Be sure to include your planned travel dates, number of people in your party and desired vacation rental property. On behalf of all of us here at RE/MAX Coastal Properties, thanks for taking the time to read this newsletter. Please visit our website to see our newest listings & hottest deals. We hope to see you in San Juan del Sur soon! bringing you the most current news and real estate listings in coastal nicaragua, as well as the colonial city of granada, mombacho & the laguna de apoyo! Offices in San Juan del Sur & Granada have some exciting news! Buying and selling property in the hottest foreign investment markets in Nicaragua just got easier due the merging of RE/MAX Colonial Properties in Granada, and RE/MAX Coastal Properties in San Juan del Sur. Both buyers and sellers will benefit from the coordinated and consistent delivery of a myriad of comprehensive real estate services which are implemented in adherence to American business ethics. From the historic colonial structures of Central Americas oldest city, to volcanic lagoons, large fresh water lakes and the spectacular Pacific coast of this stunning country, the professionals at RE/MAX ensure that all transactions are efficient, precise and meet the clients’ needs, whether buying, selling or a renting. Our team of professionals in Granada and San Juan del Sur will make sure that buyers see all of the desireable properties that meet their criteria, no matter what part of the country it may be in. And sellers will continue to enjoy the benefits of their properties being advertised on the largest global real estate website in the world, as well as our Nicaragua websites that specialize in the most vibrant markets that are currently attracting worlwide attention for real estate investment. If you are looking to sell your property in Nicaragua, don’t hesitate to contact us by clicking here or send an email to info@nicaraguaproperty.com and let us know the details of your property for sale. Walk to the Surf @ Maderas! This 1/4 acre lot is perfectly situated on the southern hills that separate Playa Marsella from Playa Maderas. A surfer’s dream, lot F2 at Marsella Beach Resort is unique as its one of the last lots with incredible views within a short stroll from Maderas. Plunge into the surf only meters from your door, this Remanso beach house represents a wonderful opportunity for the creative types. Less than 200 meters to the soft sands and gentle surf of Remanso beach, this coastal treasure is ready to be transformed. Attention all surfers!! This 4 bedroom, 3 bathroom penthouse condo just off the sands of Iguana Beach, home to the world reknown surf breaks of Colorado & Pangas Drops, is a must-see for any real estate investor, second home and vacation home shopper and avid surfers alike! This is a very unique colonial home in a great location just 2 blocks away from Central Park, with awesome views of Mombacho from the second story, as well as views of the Granada churches and the rooftops of Colonial homes. Casa La Libertad is a must-see when checking out real estate options in Granada! The OK Corral is a hostel only 4 blocks from the Central Park, an easy walking distance from all the amenities of downtown Colonial Granada. The OK Corral boasts a total of 5 apartments, each apartment having air conditioning, ceiling fans, and each fully furnished with fully equipped kitchens a single bathroom and WIFI. Volcano, Lake & City Views! The convenience of Granada with the views that you’ve been looking for! Introducing a new neighborhood, Balcones de Granada, sitting bwtween Granada & the Laguna de Apoyo, less than a 10 minute drive from each. Enjoy the gentle breezes while taking in views of Mombacho, Lake Nicaragua, the islands off of Granada (Las Isletsas) & the Cathedrals of Granada in the distance! Our teams of creative professionals at RE/MAX Coastal Properties & RE/MAX Colonial Properties continue to have the honor and privilege of assisting some of the nicest, most interesting, forward thinking and adventurous folks in the world achieve their tropical dream…..and we are here to make your dream a reality, too! Also, if you are planning a trip to Nicaragua in the near future, don’t hesitate to contact Gabriela Castillo by clicking here to send her an email. Be sure to include your planned travel dates, number of people in your party and desired vacation rental property. On behalf of all of us here at RE/MAX Coastal Properties and RE/MAX Colonial Properties, thanks for taking the time to read this newsletter. Please visit our website to see our newest listings & hottest deals. We hope to see you in San Juan del Sur soon!